Will the former James Bonds get together for an Expendables-inspired team-up? Rumor: A new film series will gather together actors who have played James Bond in the past for a new adventure inspired by The Expendables and its sequels. Is the movie still appealing with almost every possible past Bond? And can it even rope the non-Connery Bonds into the project? That’s where things get a bit iffy: Of the former Bonds, only the most recent, Pierce Brosnan, still regularly headlines films. He also, consequently, seems like the least-likely to sign up for a project in which he’d be part of an ensemble cast. Timothy Dalton still acts regularly. He made a delightful appearance in Edgar Wright’s Hot Fuzz and voiced Mr. Pricklepants in Toy Story 3 and its short film and small-screen spinoffs. On television he’s also had significant parts on Doctor Who, Chuck, and Penny Dreadful. But would he view appearing in a Bond-inspired film be a step backwards? That just leaves one-time Bond George Lazenby. He’d be up for it. Another possible problem. Moore is 87, and though he seems to be in excellent health, his age might put some limitations on his abilities. 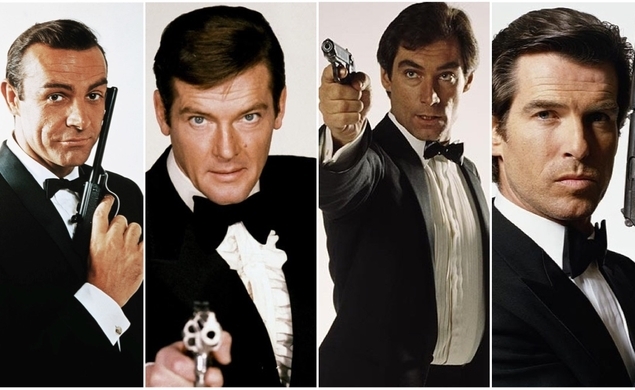 Or, as Moore told The Sun, “I’d need about ten stunt doubles!” But leaving issues of age aside, the whole project just seems sketchy, predicated on the notion that the novelty of seeing so many former 007s in one place will be a novel enough to draw in audiences. It also sounds incredibly vague, the brainchild of unnamed producers that’s been brought to light by “well-placed sources” citing The Expendables and its collision of muscle as an inspiration. Odds: 1,000 to 1 (for a project involving all past Bonds, including Connery). 99 to 007 for some kind of old-Bonds-team-up project seeing the light of day.